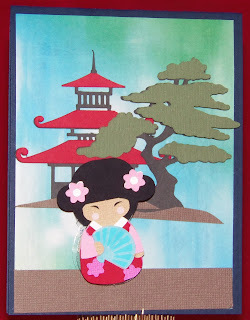 Action Wobbles: Action Wobbles: “Konnichiwa"
It is Gloria from Girlia's Cards and I have such another fun card for you to view. This card is so tranquil. What do you think? This little lady is sitting on an action wobble and it looks as though she is walking. 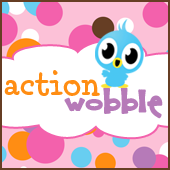 Give your cards some motion with an action wobble.